At Templarbit we crunch a lot of data from cyber attacks and data breaches. Looking at all this data on an ongoing basis gave us the idea to build a collection that is publicly available for others to consume. 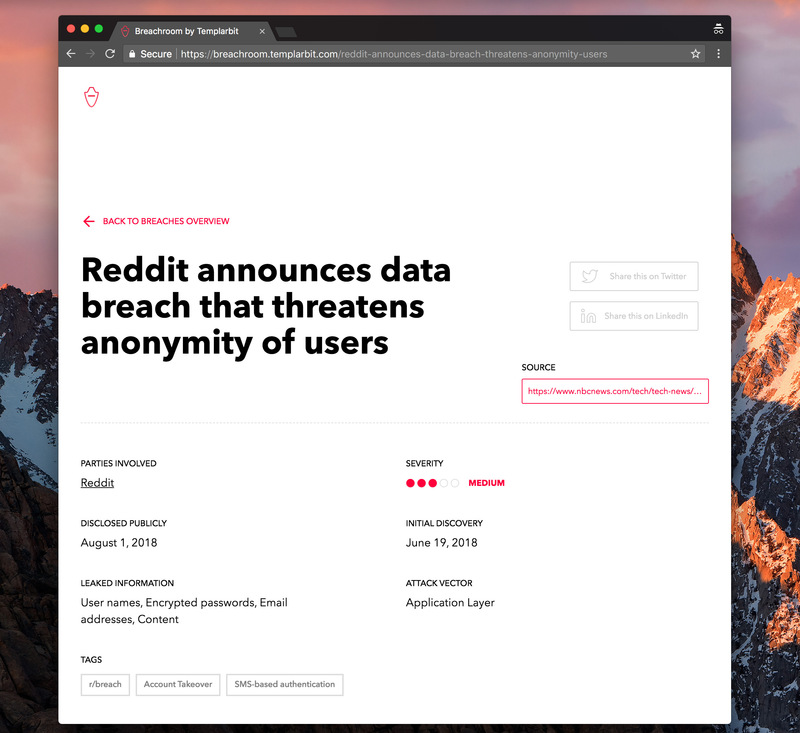 Meet Breachroom, an ongoing collection of cyber attacks and data breaches. The Breachroom contains as much information as possible about each breach. 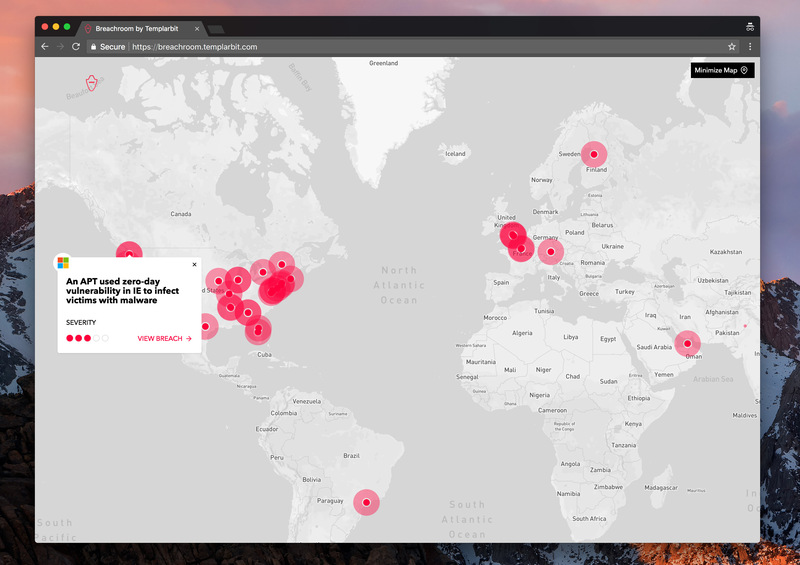 The list of breaches can be viewed visually on a map or in a standard list view. Currently, breaches from January 2018 through present day are listed. We include an overview of what happened and the official statement from the company, when available. We include all available information about each breach including severity, what information was leaked, the parties involved, original source, initial discovery and when the breach was disclosed publicly. 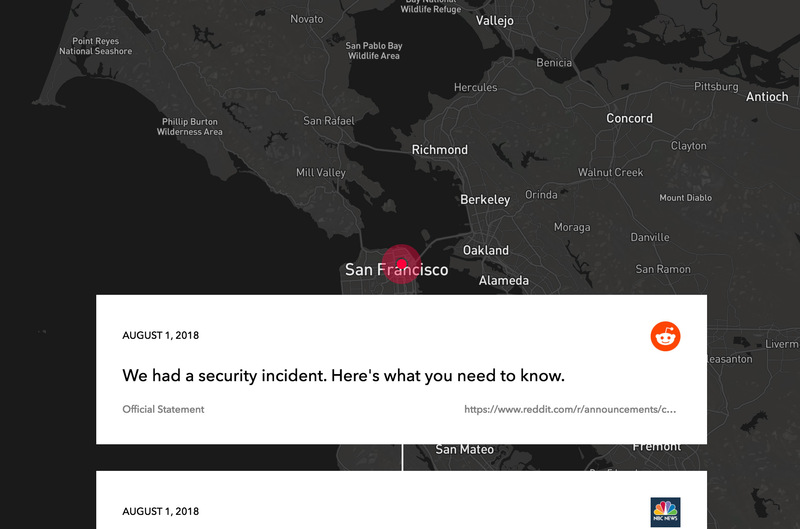 In the map view, each breach shows a quick snapshot of the attack as well as the severity. We plan to further invest in providing data from cyber security incidents to the public. In the coming months, users will have the ability to further drill down the Breachroom data set and follow specific incidents.